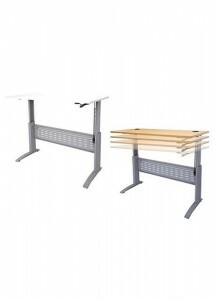 The FX Rapid Span collection of office desks is designed with simple beauty in mind. 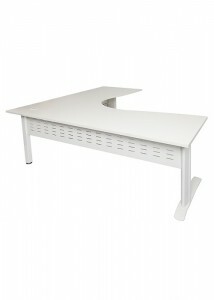 These desks feature a sleek design that is perfect for your contemporary office. 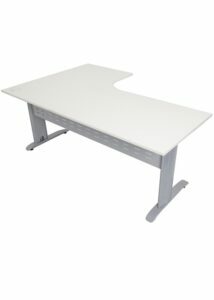 With crisp whites and cool-toned metal accents, these stylish desks look stunning without distracting from the work that needs to be done. 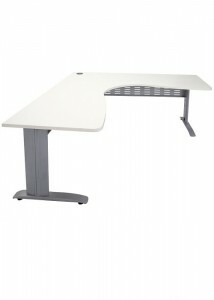 All of the FX Rapid Span desks include modesty screens to keep women in skirts covered throughout the workday. 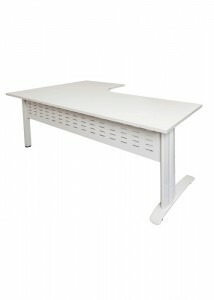 Cable holes are also built into the desks, letting you keep the electrical cables for all of your devices neat and organised so that they don’t get in the way of your work. 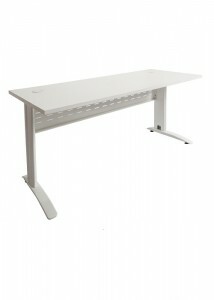 This collection includes a variety of different styles of office desks, like straight and corner desks. 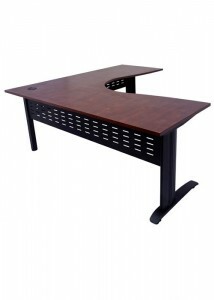 Within those categories, desks come in a range of sizes to accommodate the needs of your office space and the type of work that needs to be done in your office. 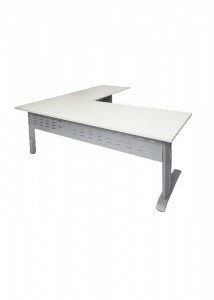 Here at Ideal Furniture, we offer everything you need for your office fit-out. With the FX Rapid Span collection, you can create a beautiful contemporary atmosphere that will have your employees feeling comfortable and relaxed while they work. 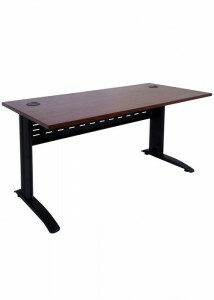 Browse through our selection today to choose your ideal office furniture.